Last weekend was a big one in Huntington Beach—both literally and figuratively. 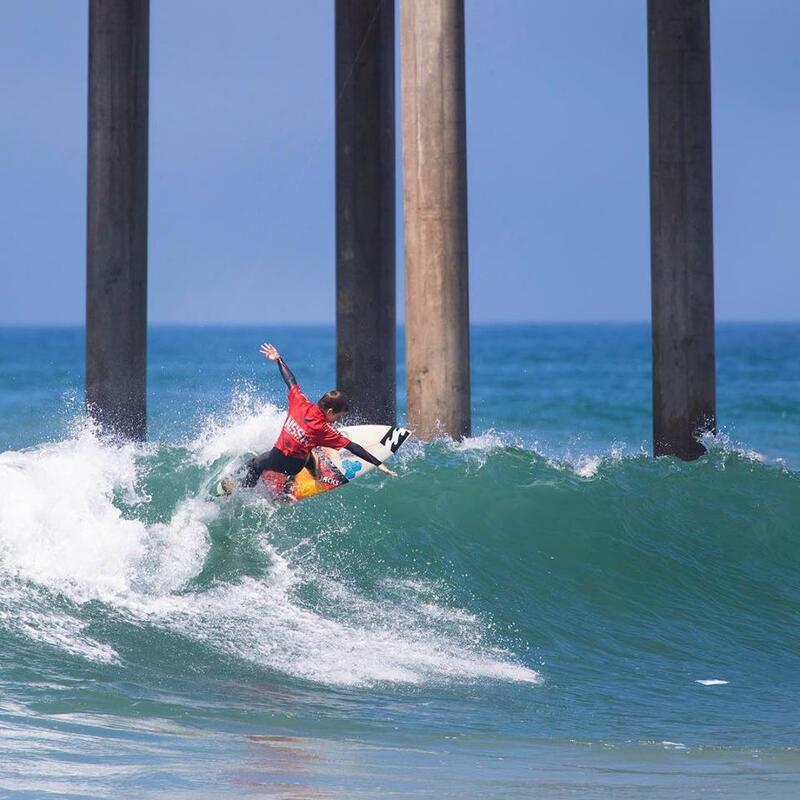 With bombing, 6- to 8-foot surf pumping at the Huntington Pier, the first two events of the NSSA Southwest Conference Explorer season scored some epic summertime conditions. A handful of rising local talent took full advantage of the surf, but this week’s Grom of the Week goes to a kid who tapped into the source for the first time. Entering his first win at an NSSA contest, Loyal Kenworthy not only made the finals of the Super Grom division, he came away with two division wins over the course of the weekend. Ripping in the overhead surf, it was an impressive way to launch his competitive career. “Thank you NSSA for the fun contest. Stoked to get a couple waves and W’s,” said Loyal on his Instagram feed. The Kenworthy clan was in full effect, as Loyal’s older sister, Bella, a recent Grom of the Week, took home four wins in four divisions. The girl was on fire. Congrats to Loyal, Bella and all the other groms who paddled out in the legit south swell and made some magic happen.